Sorry about the long absence, y'all. I took a break from blogging while on vacation and had a hard time getting back into it when I got back. Part of the problem is that I suddenly developed very brittle nails and horribly flaky cuticles. I blame overuse of acetone and cuticle remover. My nails and skin aren't too fond of either. Anyway, I had chips and peeling all over the place and just didn't feel like doing my nails much. They still aren't back in top form, but at least they've stopped breaking so much. I do have a little bit of a backlog of pics from the few times my nails actually looked good lately, so it's spam time! Ludurana Show. 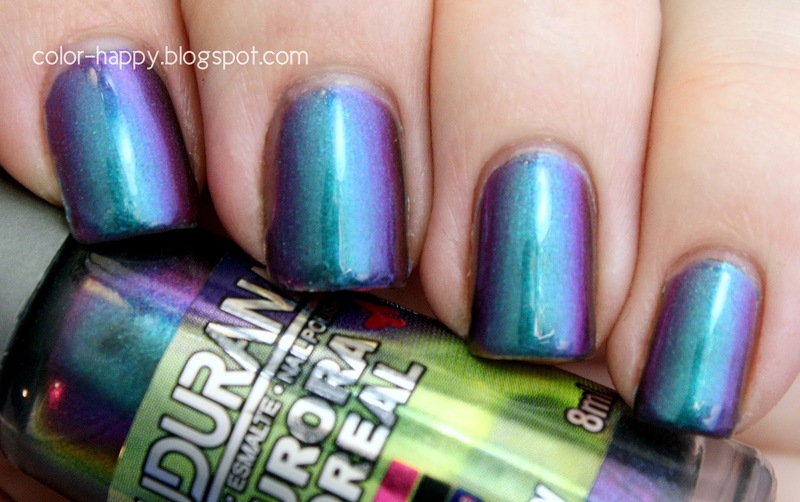 This is a gorgeous multichrome that shifts between green, blue, teal and purple. The polish is scented, but I didn't notice any scent after it had dried. It's a little sheer, like most duo/multichromes. I used four coats for this photo and I'll probably layer one or two coats over black in the future. Nail strips from Dollar Tree. Okay, these are kind of crap. I'm not sure what I expected for a dollar, really. They're plastic-y (obviously not actually polish strips) and don't last long at all, even with a base and top coat. Basically, if you want a quick manicure and only need it to last a day, they're fine. The color was a little surprising. In the store and at home I thought they were navy, but when I went outside, they looked green. Unnamed Franken. This is a fairly sheer sage green jelly with micro silver and teal glitter and larger silver hex glitter. The photos above are three coats and there's still a little more VNL than I care for. 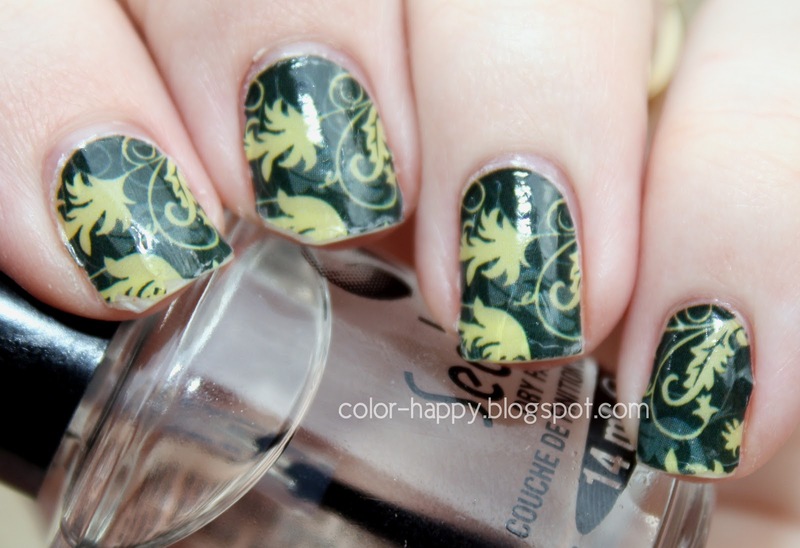 I can't remember what I used in this one, but I'm pretty sure it involved at least half a dozen different polishes. I've been experimenting with my photography lately, working with different lighting and hand positions. This is my homage to Chalkboard Nails. Unnamed Franken Number Two. A deep purple jelly with various sizes of iridescent glitter and a small amount of holo glitter. This one reminds me of grape candy. I've got a few more frankens I'll swatch one of these days.. I'm really happy with how most of them turned out and I've been thinking of opening up an Etsy shop and creating my own indie polish line. Need to do some more research on that one, sourcing materials and whatnot.